"The chief editor of Breitbart London is spreading fake news about the Grenfell tower fire"
Quote; "..the chief editor of Breitbart London has posted a brazen "fake news" Tweet about the Grenfell tower fire that's now been shared over 5,000 times, but instead of holding him to account, hacks at the Daily Telegraph somehow decided to falsely accuse named left-wing websites of spreading "fake news" on their front page instead. The Breitbart editor Raheem Kassam has had it pointed out to him by hundreds of people that his Tweet begins with an outright lie and is nothing more than a pathetically tasteless bit of right-wing victim complex crying, but he's not taken it down nor apologised for outright lying to the public. The claim that Kensington and Chelsea Borough Council is Labour controlled is an outright lie that is fantastically easy to disprove. The fact that the new Labour MP for Kensington Emma Dent Coad once had a powerless position on the Tory dominated Kensington and Chelsea council betrays a very weak understanding of how local government actually works. Ignoring the fact that Sadiq Khan was not even mayor of London when the decision to cover Grenfell tower in highly flammable plastic is obviously absurd, as is the ridiculous implication that the mayor of the biggest city in western Europe should micromanage every building renovation project in the city. Trying to pin responsibility on Labour because the original construction date for the tower coincided with a Labour government is absolutely pathetic grasping. The problem isn't that there are 4,000 odd tower blocks in the UK, it's that many of them are deadly firetraps thanks to seven years of abject Tory neglect of housing policy*, and their refusal to listen to expert advice that flammable cladding should be banned. Describing a list that begins with an outright lie as "Grenfell tower facts" is absolutely outrageous stuff that even Kellyanne Conway of "alternative facts" fame would blush at. Making up lies and deliberately distorting and misrepresenting the facts in order to recast the Tory party as the true victims of the Grenfell tower fire is a disgusting new low, even for the editor of a despicable website like Breitbart. *Although this was presaged by the deregulation and enthusiasm for The Wider European Adventure that were New Labour's. Quote; "There are two children that we know really well who were in the block. One family got out, the father was able to shield their little girl and thank God she’s fairly oblivious to everything that happened. But the other is in hospital, critically ill from smoke inhalation. Another went missing and was separated from her mum. We heard from mum and found her utterly distraught. She spent the day looking for her daughter and finally found her. Their dog and their neighbour’s dog are missing – we’ve got the kids looking for the dogs, putting up posters so they’ve got something to do and don’t feel so helpless. The scale of the loss is far bigger than anyone is admitting. One of my employees has 15 friends missing and believed dead. Another has two friends missing. One of the little girls that got out with her family, she has 7 friends missing, all from [near the top of the block]. Her mum believes they’re the only survivors. At least two of her other friends have already been confirmed dead – one just 13 years old and the other fourteen. My friend has a son in the same class as those girls. She went back to the block to find one little girl who’s in the hospital now. She’s been collating names of missing people and she’s already up to around two hundred. 200 is the figure everyone is saying locally, but it might be much worse. One family got out from the [upper third]th floor. A neighbour came out of a flat at the same time but his elderly mum was still in the flat so he went back in. The dad of that family told me that the whole way down from that floor he only counted eight others coming down the stairs and the firemen coming up were telling people to get back into their flats. That’s no blame on the firemen, they were just doing what they’d been told to do. There’s burnt polystyrene everywhere – a local builder told me that it’s not from the panels – it’s too thick. He said it’s insulation – there were burning pieces as big as telephone boxes falling down on people as they came out of the block. Are people angry? On Wednesday they were very silent. Everyone was in shock – nobody was visibly angry, although a lot of people were frustrated at the absence of the authorities. People were saying they expected things to be more in place for a major incident, given the terror alert, but it was just chaos and we felt badly let down by the council. Some council people came in but it was obvious they were just there to say they’d been there. They sat around and ate takeaways, then all left promptly at 6pm having done nothing. They had a face-mask on the table and one of the volunteers went to put it on while she went outside and they took it off her, told her that was only for staff – but they never did anything to need it. My staff have been brilliant, the community has been brilliant. Some of the police have been fantastic but others just seem uninterested. We went with one mother to talk to a policewoman about her missing child and she just shrugged, no empathy at all. This has been a community under siege in a way. We’re surrounded by £3.5m houses, there’s a little park to walk dogs. All the time we see people moving out because it’s too expensive. The area started to gentrify couple of years ago. One family I know, they’re the only people in their block – the rest are empty or only occupied one week a year. The idea of requisitioning them to house people that have no home now is spot on." Go to: https://skwawkbox.org/2017/06/17/grenfell-survivor-only-passed-8-people-on-stairs-all-the-way-from-upper-floor/ For full article. Quote; "Prime Minister David Cameron today said that his new year's resolution was to "kill off the health and safety culture for good". Health and safety legislation has become an "albatross around the neck of British businesses", costing them billions of pounds a year and leaving entrepreneurs in fear of speculative claims, he said. ""It's a year when the Government's going to roll up its sleeves and ask, 'what can we do to help business, to help consumers, to help our economy get moving and to help our economy provide jobs for young people? '," he said. The Government is "waging war against the excessive health and safety culture that has become an albatross around the neck of British businesses", said the PM. He added: "This coalition has a clear new year's resolution: to kill off the health and safety culture for good." Go to: http://www.independent.co.uk/news/uk/politics/david-cameron-i-will-kill-off-safety-culture-6285238.html For full article. Quote; "Grenfell Tower’s residents tried to obtain legal advice over safety concerns but were prevented from doing so due to devastating cuts to legal aid. Pilgrim Tucker, who has worked with the local campaign organisation Grenfell Action Group, made the damning claim yesterday evening during an emotionally-charged Newsnight. I am so ashamed to be part of a society that has actively ignored + refused to engage w its most vulnerable again and again. In an attempt to save around £350 million a year, the government introduced a series of significant changes to civil legal aid in England and Wales. This meant certain types of cases — including divorce, welfare, employment and housing (except in limited circumstances) — were no longer eligible for free legal support. The cuts, introduced back in April 2013, were strongly opposed by professional legal bodies and lawyers alike. Grenfell Tower, home to around 600 people, caught fire during the early hours of Wednesday morning. Hundreds of firefighters and 45 fire engines were involved in efforts to control the blaze as it ripped through the 27-storey building. At the time of publication, 17 people have been confirmed dead and dozens more injured." Go to: https://www.legalcheek.com/2017/06/they-tried-to-get-lawyers-devastating-cuts-to-legal-aid-prevented-grenfell-tower-residents-accessing-advice-over-safety-concerns/?utm_source=twitter&utm_medium=social&utm_campaign=SocialWarfare For full article. Arafel: Clearly its easier to marginalise and disenfranchise people when they can't access legal representation (couldn't be that such and "The Health and Safety Culture" were preventing those ever bigger profits for the "glorious few" could it?). The rub will be that this was Govt. legislation (and therefore negligence and corruption), therefore no private company will bear the burden of providing compensation, no it will come out of the public purse. "I love the smell of vacancies in the morning"
Tweet by Dr.Frances Ryan, from The Guardian. 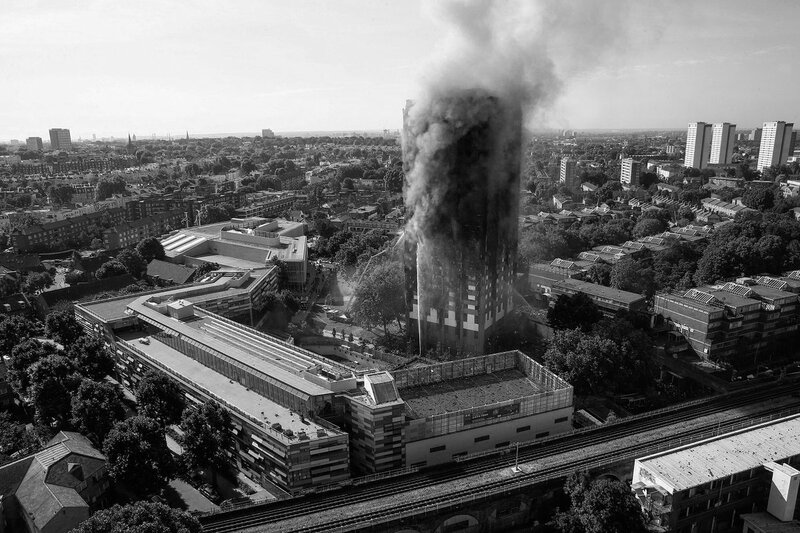 It was an avoidable horror we must never repeat"
"A tale of two posts... Boris Johnson tries to deflect criticism over #Grenfell"
Quote; "Fire safety experts called for a ban on the use of combustible materials in the construction of high-rise buildings in the UK as contractors confirmed that panels used to clad Grenfell Tower were the cheaper, more flammable version of two available options. A Worcester-based firm, Omnis Exteriors, said it had supplied Reynobond PE cladding panels as part of the refurbishment of the west London tower block that was overseen by the construction firm Rydon Maintenance in 2012. The panels contain flammable polyethylene and are £2 cheaper per square metre than the alternative, fire-resistant Reynobond FR. Rydon Maintenance subcontracted the installation of the panels to a smaller company called Harley Facades, which confirmed that it had used the panels. At least 20 tower blocks across the capital, ranging from 11 to 23 storeys, are believed to have the same cladding used at Grenfell, according to Construction Enquirer, a trade publication." Go to: https://www.theguardian.com/uk-news/2017/jun/16/experts-urge-ban-on-use-of-combustible-materials-in-tower-blocks?CMP=Share_AndroidApp_Tweet For full article. 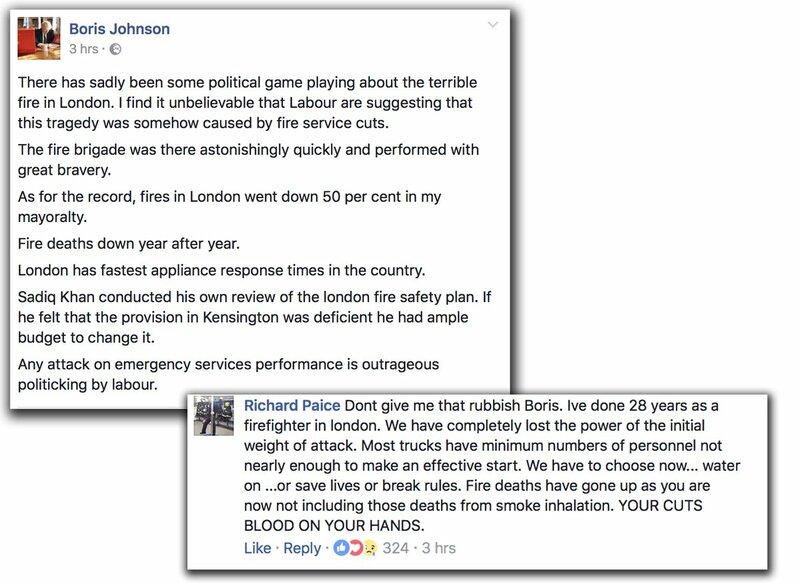 Quote; "Boris Johnson is being reminded he once told a Labour politician to “get stuffed” for daring to ask about cuts to the London Fire Brigade (LFB), in the wake of the devastating Grenfell Tower blaze. The fire has killed at least 17 people and police expect the death toll to rise. Hundreds have been left homeless and many remain missing, with firefighters saying they do not expect to find any more survivors. Firefighters were at the scene within minutes and worked long shifts to save as many as they could from the burning 24-storey tower." Go to: http://www.huffingtonpost.co.uk/entry/grenfell-tower-fire-boris-johnson_uk_594267c2e4b0d31854872fed For full article. 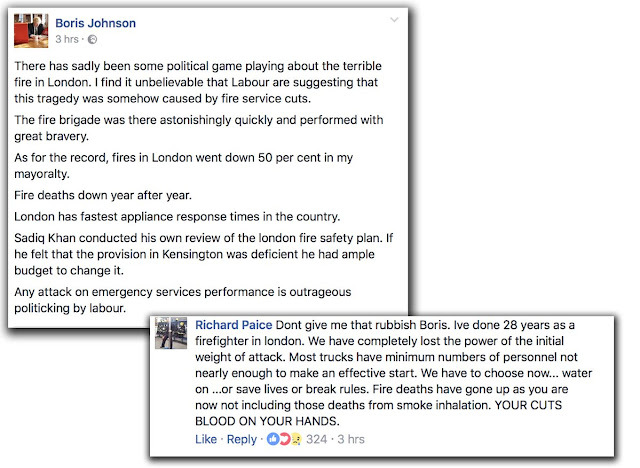 Quote; "Foreign Secretary Boris Johnson faces questions over his decision to slash London's fire service while being the Mayor of London. 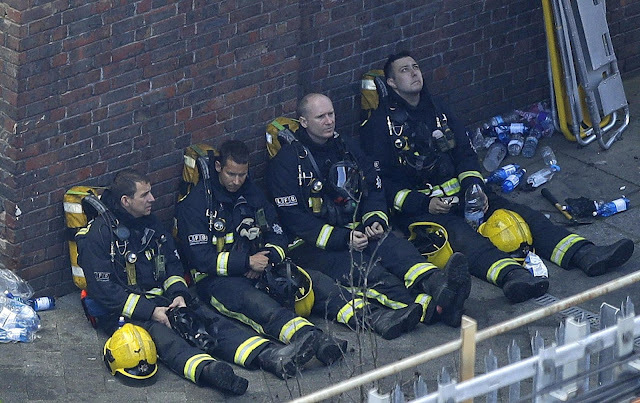 Quote; "Counselling services available to the firefighters who responded to the Grenfell Tower fire were drastically cut back, it can today be revealed, under Boris Johnson’s leadership as the former Mayor of London. “It was absolutely horrific at Grenfell, and it’s still very very raw. I have seen some really horrible things that I’ve never experienced seeing before and hope I will never see again. It will stay with me all my life. We were offered a session with a counsellor which I took up, and it did help, but nothing will get those images out of my mind.”" Go to: https://www.fbu.org.uk/news/2017/06/15/fury-counselling-services-firefighters-involved-grenfell-cut-back For full article. "Every Flat in a New South London Development Has Been Sold to Foreign Investors"
Quote; "When Elephant and Castle's Heygate Estate was eventually torn down in 2014, many tenants were forcibly evicted from their homes, given compensation at less than 40 percent of the market value. In its place, Londoners were promised a shiny new development that would provide affordable, accessible homes for key workers desperate to get on the property ladder. As the first properties hit the market, a report claims that 100 percent of those sold so far have gone to offshore foreign investors.".. "Sales of these properties began in Singapore on the 11th April 2014, with flash brochures and slick marketing conferences. Not a single unit was for sale in London at this time. Lendlease don't even seek to hide the fact they are selling investment opportunities, not homes, as they list exactly how much rental income – around £25,000 a year for the cheapest – foreign investors can cream off without ever touching the front door. Transparency International, a not-for-profit organisation which exposes global corruption, state in their 2017 report "Faulty Towers" that the number of South Gardens units sold abroad is 51 out of 51 properties, as per Land Registry documents." Go to: https://www.vice.com/en_uk/article/every-flat-in-a-new-south-london-development-has-been-sold-to-foreign-investors For full article. Quote; "Insulation boards fitted to the outside of Grenfell Tower gave off highly toxic hydrogen cyanide gas which may have contributed to the deaths of some of the 79 confirmed victims. 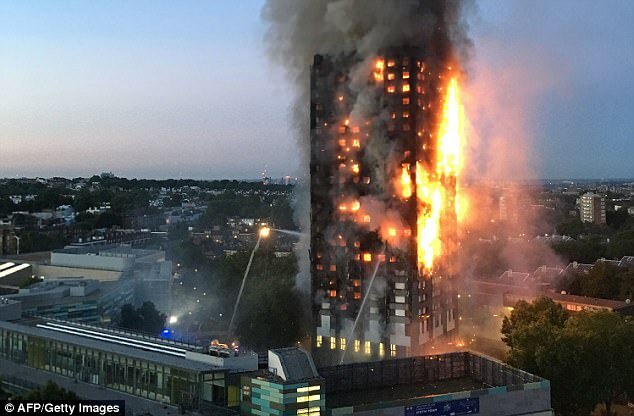 Fire toxicity experts have told Sky News the insulation boards installed during a refurbishment of the tower produce the deadly gas when they burn, and their positioning meant every flat could have been filled with enough gas to kill those inside. At least three of those injured in the fire have been treated with an antidote for hydrogen cyanide poisoning in hospital, and the number of those affected may be higher. 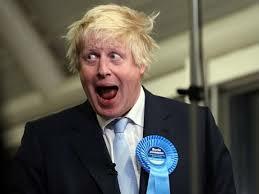 bs and 10 fire stations while Johnson was London Mayor.Quote; "Counselling services available to the firefighters who responded to the Grenfell Tower fire were drastically cut back, it can today be revealed, under Boris Johnson’s leadership as the former Mayor of London.